I woke up today with a longing for warm cinnamon rolls. 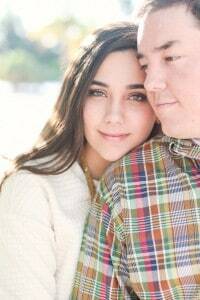 I searched Pinterest for homemade recipes, but when I realized how long they would take to make, I gave up on that idea. Then I went online and looked for places in the area I could buy one. I really wanted to go to the Amish in Homestead, but they’re still closed until the end of the month. Again, disappointment. So by evening, I was back on Pinterest and came across this amazingly, deliciously, simple version of cinnamon rolls. And with just six ingredients, it can’t get any better than that! 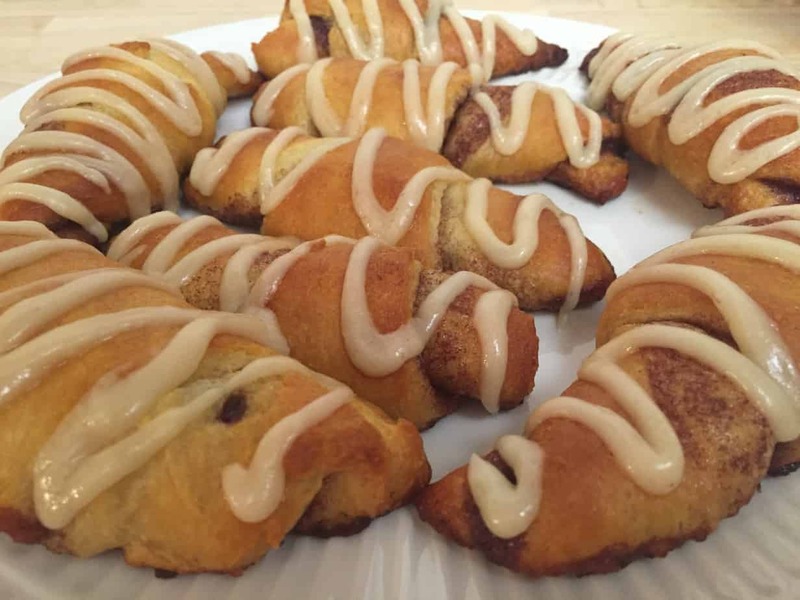 Ingredients for this recipe are simple: crescent rolls, granulated sugar, cinnamon, butter, powdered sugar, and vanilla! First, I unrolled my crescent rolls (the bottom right one broke when I popped the can open…that always scares me a bit!). I then put softened butter, granulated sugar, and cinnamon in a mug and stirred it all together. Next I spread it all over the crescent rolls and rolled them up, making sure I kept the seams on the bottom so they don’t open up while cooking. As those cooked for a short 10 minutes, I stirred the rest of my butter with powdered sugar and vanilla to make a glaze. I poured this glaze into a small ziplock and cut the tip off to glaze the crescents. And, as soon as they came out of the oven, I transferred them onto a plate and then glazed the rolls. And there you have it! Delicious cinnamon rolls made in under 15 minutes! No proofing, rising, or refrigerating time. No kneading, rolling, cutting or waiting. And best of all: cravings fulfilled! They are definitely going to be a quick treat I make many times in the future. 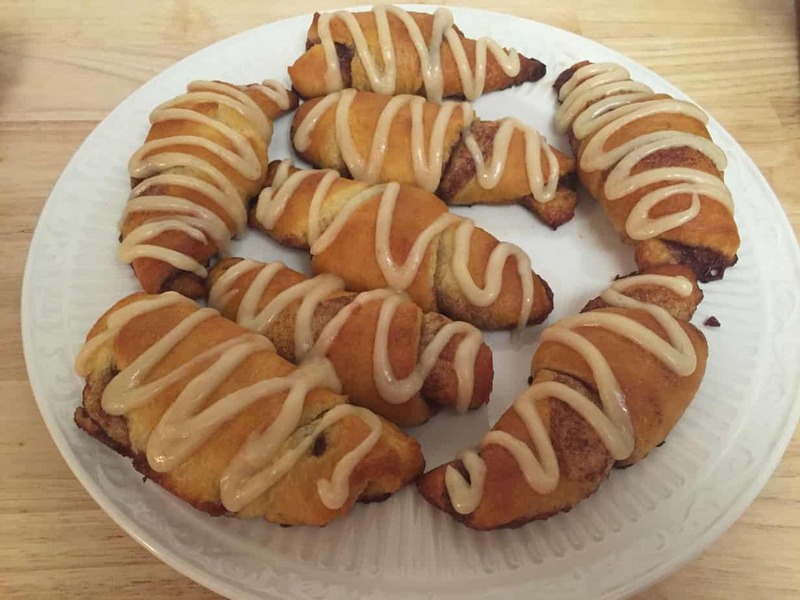 Crescent rolls covered in buttery cinnamon sugar blend, rolled up and covered in delicious thick glaze! Preheat oven to 375 degrees. 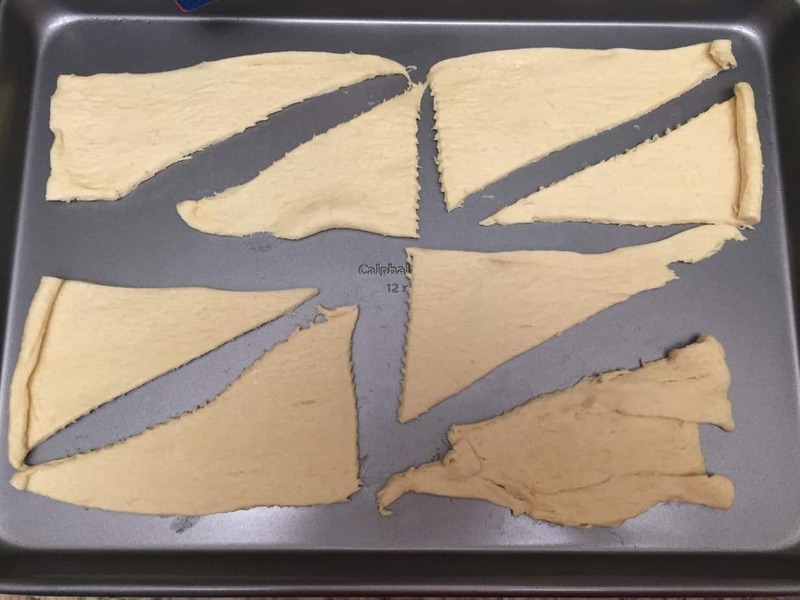 Open can of crescent rolls and lay them out separated on an ungreased cookie sheet with rims. 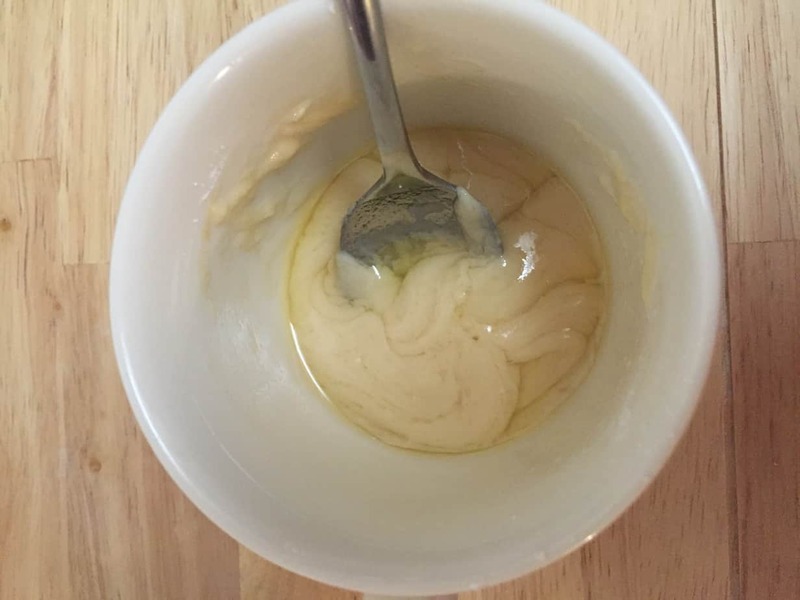 In a mug or small bowl, mix together the filling ingredients. Spread it out all over the opened crescents. 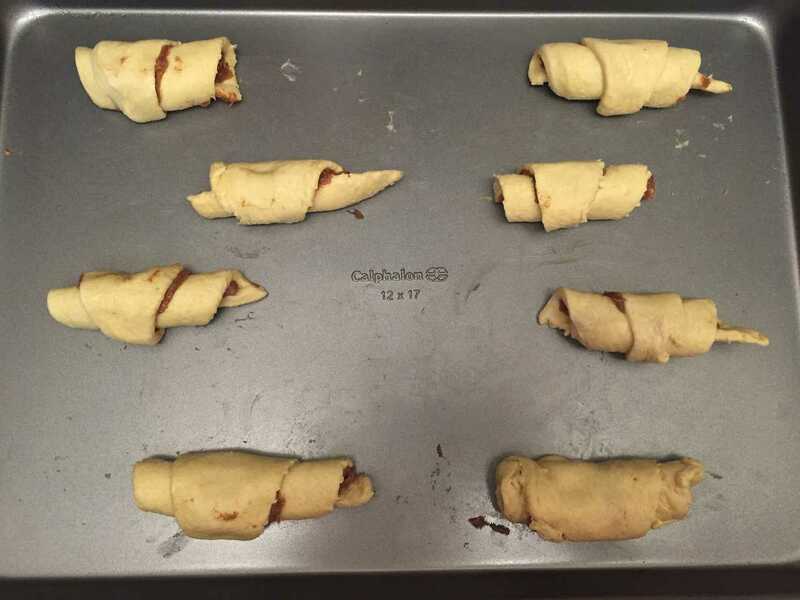 Roll them up and place them tip side down on the cookie sheet. Bake for 10-12 minutes. In another mug or small bowl, mix the glaze ingredients. Pour it into a small ziplock. After the rolls come out of the oven, transfer them to a plate. Cut the tip off of the ziplock and glaze your rolls. 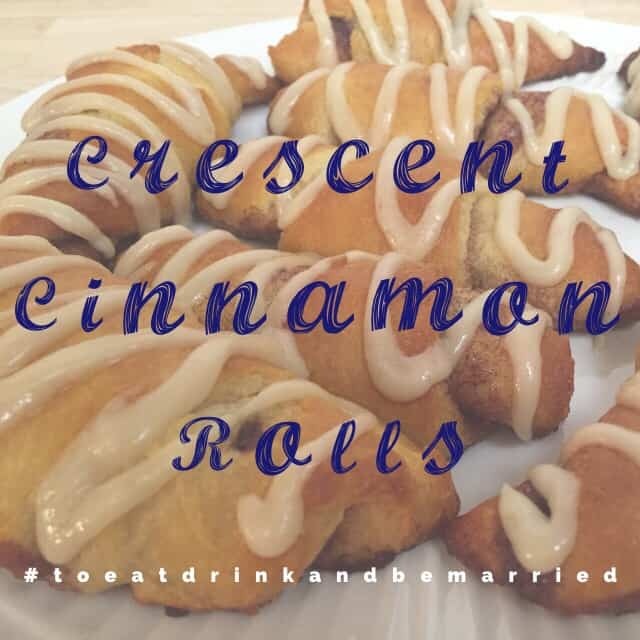 For another delicious crescent roll recipe, CLICK HERE!